4.3 out of 5 based on 57 bloggers and 6 commenters. 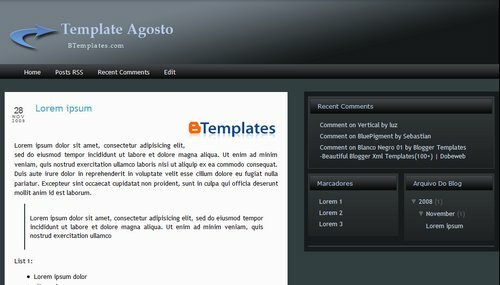 Agosto is a free blogger template with 3 columns, right sidebar, gradients and neutral colors. La he descagado un montoón de veces, pero no la encuentro; ya me desespero!! i wanna know how to use the top navigation menu?? ?